Come join us at the Idaho State Dance Championships! Jazz, Hip Hop, Lyrical, Contemporary, Cheer, Tap, Clogging and Power Tap are offered! Compete as we crown the newest State Champions! Overall awards OPEN TO ALL! Register Online with our new and easy Online Registration system! Contact us with any questions you have. Email is often quickest. "Like" America On Stage on Facebook and follow AOS on Twitter for all the latest information, pictures, results and more! Know the minute you are going to be on stage with the America On Stage Online Programs! Mountain View Events Center in Pocatello. This beautiful new building is HUGE! We will dance on a GYM floor - large enough to fit any team. Lots of practice space and audience area too! This will be one of our best dance venues! You are going to really love it. Stay at the hotel with us too! Use the Booking ID "6793"
Idaho State Dance Championships! Jazz, Hip Hop, Lyrical, Contemporary, Cheer, Tap, Clogging and Power Tap are offered! This event is open to ALL competitors. 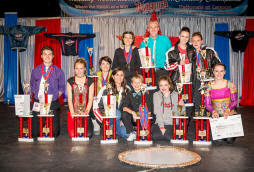 2 sets of Overall awards - Overall winners and Idaho State Championships. Overall winners are eligible to all. Idaho State Championships are open to all residing in Idaho. 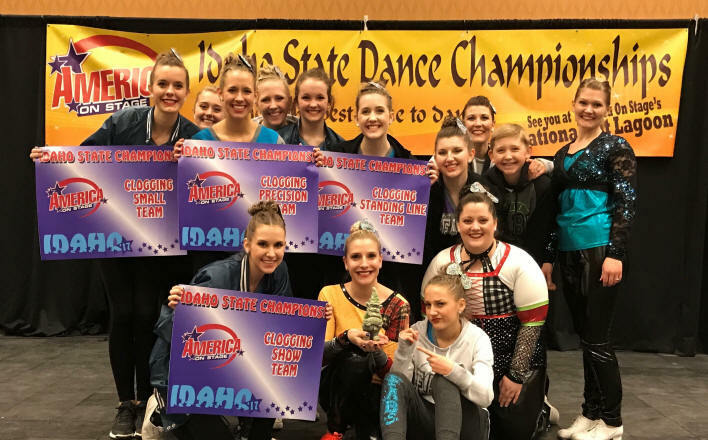 The Idaho State Championships is designed to be fun and exciting from games to fantastic competition. The highest level will compete for State Championship titles! All Idaho based teams will be eligible for a State Championship in every category competed. See the Results page for more information on the winners. Held at the beautiful Chief Center at the Shoshone-Bannock Hotel just north of Pocatello in Fort Hall and with all our amazing awards, we offer one of the most exciting events in the west! Inexpensive fees and no admission makes America On Stage events amongst the best! Dance and Clogging competition - held in May at Lagoon Amusement Park! Over 9,000 dancers compete over 3 weekends for National Titles. Don't miss the fun and excitement of this one of a kind event. It's simply the Best! See all the great pictures of from the event! Every competitor receives an award for each event competed! More fun than you should be allowed at competition!